If you’re a product manager or planning on becoming one, your company is going to rely on you to ensure that their products are well designed, functional and perform as intended. Product managers are often responsible for the strategy, roadmap and features that’ll be included in product releases, which is a lot of responsibility. This means you’ll have many different tasks you’re responsible for, ranging from finding opportunities for new products and designing, creating and launching them, to overseeing your existing products, and even winding down outdated features that aren’t making the cut. Product manager, Marc Anthony Rosa, who’s helped companies like Buffer and Getty Images with launching products for the past several, explains the mindset of a product manager and the role product management tools play in organizations today. It’s clear that in order to be effective in your role (or job hunt) as a product manager, you’ll need to familiarize yourself with the best product management tools and software that companies are actually using today—in order to manage your task load. With the role of product manager belonging largely to the tech world, it’s no surprise that there a wide range of product management tools that are designed to help you with a variety of tasks. But which product management tools are actually in use by top companies today? Many product management tools have a very narrow focus, providing assistance in just one small aspect of the product manager’s daily role. For instance, plenty of tools simply help with creating wireframes, that’s it. Others focus solely on mind mapping. However, there are other product management tools that bring a ton of value to the table, attempting to be a one-stop shop for everything a product manager needs in order to do your job effectively. Today, we’re exploring the 17 best product management tools (of different types) that effective teams are actually using in 2018. Aha! lets you begin by creating a “red thread of strategy” through your project. It lets your product team create workflow boards for agile or scrum development methodologies, status controls by feature and requirement, and cross-functional release Gantt charts. Asana is very well-known as an agile product management tool, designed for product managers at small startups up to enterprise-level companies. It includes most of the features of roadmapping software, showing the status a project is in over a set period of time. It also allows teams to collaborate together and has the ability to turn your conversations into actionable tasks—which is where their real value is. In many ways, Asana acts as an intelligent task manager. Asana lets project managers setup tasks for yourself and your team. You can organize these tasks by project, which can be set up in many different ways (by initiative, meeting or program). Tasks can easily be split into subtasks, breaking down the work, and then product managers can easily assign jobs to the most qualified team members. Asana offers numerous integrations with other tools to expand its capabilities, including Slack, Dropbox, TimeDoctor, Github and many others. With a true focus on helping companies make informed product decisions based on what your customers actually want, this product management tool is intensely focused on empowering product managers to consolidate and make use of real user feedback—turning insights into action. Rob McGrorty, Head of Product at Webgility, an enterprise resource planning tool for e-Commerce companies, chooses to use ProductBoard for his product management work. What’s even better about this product management tool is that it integrates directly with all of the major development tools like Jira and Pivotal Tracker, and also connects with your customer touchpoint tools like Intercom to allow for a constant stream of new data to help you make informed product decisions. Axure is an example of a combination wireframing and prototyping product management tool, designed primarily for midsize to large companies. It enables product and design teams to create powerful prototypes without coding. You can create diagrams that include dynamic content, conditional logic, animations, math functions, and data-driven interactions. This product management tool also lets you use a drag and drop system to create your diagrams. You can put together several different types of collaborative diagrams in Axure, including flowcharts, wireframes, mockups, user journeys, customer personas and idea boards. Once you’ve created a diagram, you can publish it on Axure Share and send a link to other team members to get feedback on the evolution of your product. With Team Projects on Axure Share, multiple team members can work on a diagram simultaneously. Trello is one of our personal favorite product management tools because it’s so visual by nature, and allows for easy collaboration between different members of your team. Their format of using boards, lists, and cards enable you to organize and prioritize your projects in a very flexible manner. You can add comments, attachments, share links and more directly to cards in Trello, which makes it easy to follow one card (or product feature) from start to finish. Contract-based CTO, freelance developer and side project aficionado, Mubashar Iqbal, is a huge fan of using Trello to manage the launches of his products. Balsamiq is a wireframing product management tool, designed to be used primarily by small to medium sized businesses. It simulates the experience of sketching on a whiteboard—but you do it from your computer. Balsamiq helps product managers to quickly create mockups and easily produce multiple versions if necessary for testing and user feedback. At the end of the day, this product management tool is designed for collaboration, so the whole product team (and any other stakeholders) can have an input on the beginning stages of the design process. This is for you if your product team prefers to use a simple combination of wireframes and running code to get user feedback, rather than building full-on elaborate prototypes. Creately fits into the flowcharting and diagramming product management tool niche, and is great for product teams of any size. Creately comes in a number of different versions, depending on your team’s needs—from their online version, to desktop and mobile—as well as versions that integrate with G Suite, Confluence and Jira. This does however, lead to a very long list of pricing options, ranging from single user licenses of Creately Online for $5 per month, up to plans for 10,000 users on Creately for Jira at a whopping $4,000. Although the exact feature list for this product management tool depends upon the plan you choose, all versions allow you to easily draw diagrams and flowcharts with what they call 1-click create, and dragging and dropping of shapes. There are many preset connectors, which are intelligent enough to know the appropriate connector for the exact scenario in which you’re using it. It makes diagrams are easy to align, size and group. Other features include the ability to publish or embed living diagrams on wiki pages or your intranet, easy import of Visio files and the ability to export in a variety of formats. Jira is another very well-known agile product management tool suite that can be used by any sized business. It allows teams to collaboratively plan and keep track of the entire product creation process. You can opt to use Jira in the cloud, on a server, or on a data center platform. 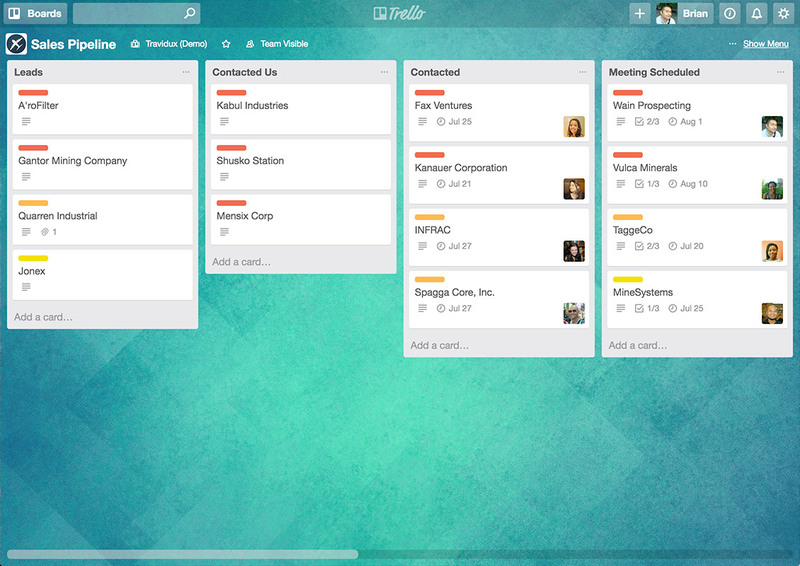 You can set up both scrum boards and Kanban boards, depending on how you prefer to organize your workflow. Jira provides a dozen out-of-the-box, real-time agile reports to get you started with tracking the right metrics and there’s also an agile portfolio management add-on called, Portfolio. 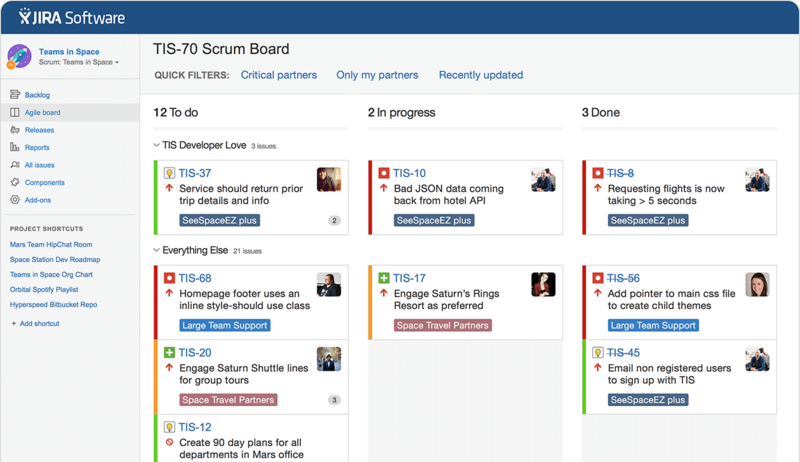 Product teams use Jira to help plan and track software releases. 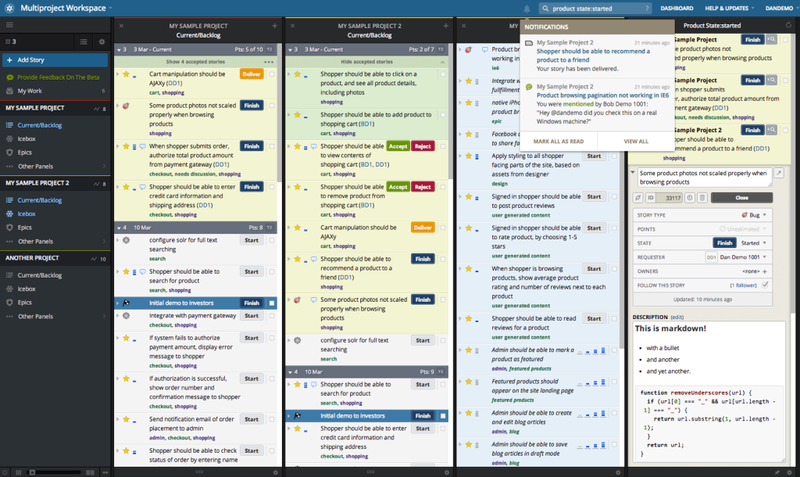 You can use it to create user stories and issues, plan sprints and distribute tasks. Product managers can keep track of task progress as well. It’s often used to record bugs as they’re reported, and can help prioritize the order in which a team tackles bugs, keeping track of the progress made each day. Justinmind is a form of prototyping software, designed to be used by a wide variety of businesses. It enables product managers to prototype any web or mobile app, which you can define using a drag and drop interface. This product management tool allows you to produce diagrams that range from clickable wireframes through to fully functional UI prototypes. You can quickly publish your prototypes and receive feedback from relevant stakeholders. It also has integrations with a number of other types of product management tools, including Jira. Justinmind contains a wide range of prebuilt UI libraries, including special libraries for the web, iOS, and Android. You can create custom UI libraries and synchronize them with your team. Pick from many templates and styles, then incorporate animations and effects. Lucidchart is well-known for their flowcharting and diagramming software that’s been around for years. With this product management tool, you can create and share professional-looking flowcharts with your team. Depending upon the pricing plan you choose, Lucidchart offers compatibility with many other tools, including G Suite and Microsoft Visio. Lucidchart has a wide range of design tools for engineering, business, and product design purposes. This includes the ability to draw wireframes and create both iPhone & Android mockups, as well as mindmaps. This product management tool is a great example of a tool that does one thing well—mind mapping software that can be used by anybody. It’s a cloud-based way to capture, develop and share ideas visually. Being completely web-based, it’s usable on Windows, MaxOS, Linux and mobile devices. You can choose from a variety of mindmap styles, including the classic mindmap look or an organization chart. It also acts as presentation software, allowing you to turn your mindmaps into slideshows that can be shared with other stakeholders in your company. One particularly useful feature of MindMeister for product managers is that you can convert the ideas in your mindmap directly into actionable tasks. Mockingbird is a wireframing product management tool for startups. It enables you to mockup an application by dragging and dropping UI elements. It’s easy to use, so you can mockup designs quickly and easily—even during the middle of a meeting. What’s particularly useful for product managers with Mockingbird, is that you can link multiple mockups together and view them interactively as a single cohesive experience. This gives you a better feel for how an application will work as you click between different pages. You can also collaborate live with other team members and clients who can edit wireframes in real-time. This product management tool is primarily roadmapping software, designed specifically for startups. It’s one amongst a range of Omni planning products, including OmniFocus, OmniGraffle, OmniOutliner, and OmniPresence. With OmniPlan, you have the option of buying the Standard version, which covers all of the planning essentials, or the Advanced version which has more features like revision history. As with most forms of planning software, this tool’s focus is strongly on task management. It includes critical path analysis and highlights the important tasks that will have a direct influence on finishing a project by deadline. You can filter tasks by specific resources, priority and date ranges. You can use it to automatically optimize resources and tasks throughout a project to help finish on time. Pencil is a form of free open-source prototyping software, which is great for anyone who’s just getting started and wants to test the waters with something free. This product management tool enables easy GUI prototyping, with a selection of built-in shapes provided for drawing prototypes of virtually any type of system. It comes with desktop and web UI shapes, as well as Android and iOS stencils pre-installed. You can also use connectors to wire shapes together and create full on diagrams. Then, you can link elements in a diagram to other pages within the same document. This means you can make a more realistic app or website mockup, where you can click through from one page to another. Pivotal Tracker is another well-established agile product management tool suite, designed mostly for medium to large businesses. An entire product team can track a project through its various stages, with priorities, assignments and timeframes given for its advancement to release. 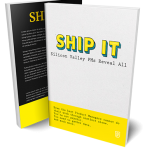 With this product management tool, you start with each project’s story. The emphasis here is on outlining what the user needs. You then define the story, and your team records the features, bugs, and chores to be done in order to ship the project. You can then make various estimates, drag and drop items into a time scale and determine priorities. Pivotal Tracker uses the story metaphor throughout, calculating a velocity score for teams based on story points they complete. You can even set up workspaces in whichever way best suits your needs— having multiple stories in a workspace if that’s how your team works. It provides you with a wealth of analytics, showing your team’s progress at working through projects and stories. ProdPad is a roadmapping tool. It focuses on enabling product managers to create roadmaps for their products easily. 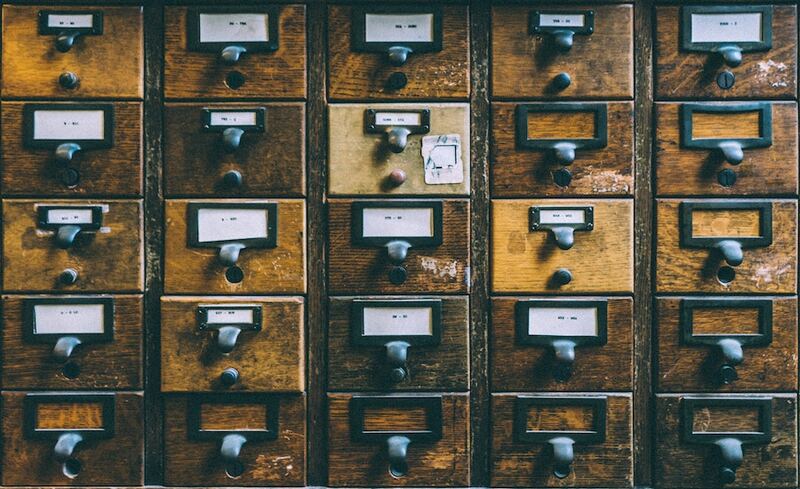 Like others, it uses the drag and drop method to simplify roadmap creation; you simply drop tasks or sections of information into the appropriate timeframe. For instance, if you decide that redesigning your homepage has become a higher priority, you can simply drag the box containing information about it to a nearer time in your schedule. What’s most unique about ProdPad is that they include a priority chart where you can accumulate ideas from a wide variety of sources and graphically show how each idea affects both impact and team effort. It allows you to record and track customer feedback, everything from feature requests to helpdesk tickets. You can also tie in these requests to your product backlog, showing you insights like which new features are requested most often. Roadmunk is another form of roadmapping product management tool, designed for companies of all sizes. It integrates well with Jira, so you can easily create a roadmap simply by importing any product planning data you’ve already entered into Jira. Roadmunk allows you to collaborate and work across your various product roadmaps as a company. Product roadmaps in Roadmonk help your product team visualize your features, integrations, stickiness, improvements, infrastructure and testing efforts for a product across a timeline. You can choose to create agile roadmaps, technology roadmaps and department-focused business roadmaps, as well as roadmaps for multiple products, portfolios and teams. Then at the end of all your planning, you can merge everything together into one master roadmap to make sure your plans are realistic, given resource constraints.